Today the nonprofit publisher Milkweed Editions released Of Silence and Song, a "singular reflection of living well in a time of distraction and despair" by the poet Dan Beachy-Quick, and I'm very pleased that my artwork (All my body calls, 2008) graces the front cover. The book is a mix of essays, poetry, travel writing, and images and is just over 300 pages. You can find it at your favorite independent bookstore or order a copy directly from the publisher. Many thanks to the poet and art director Mary Speaker for making this possible. 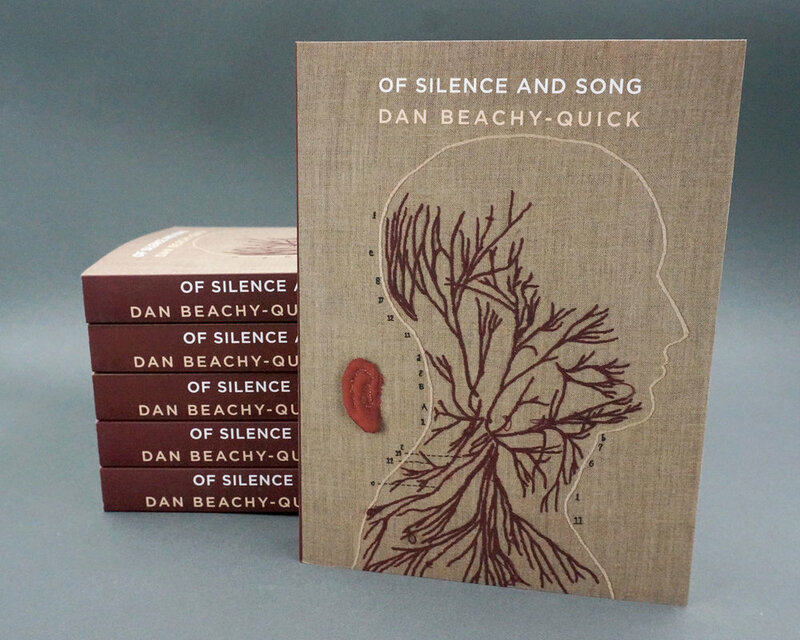 Of Silence and Song by Dan Beachy-Quick. 320 pages. Published 2017. It’s hard to put your ear against a horizon and listen to what speaks from the other side. The horizon likes to retreat. And there’s no barrier, no membrane, no page, no film, no pane, no nothing, to mark as other the other side. 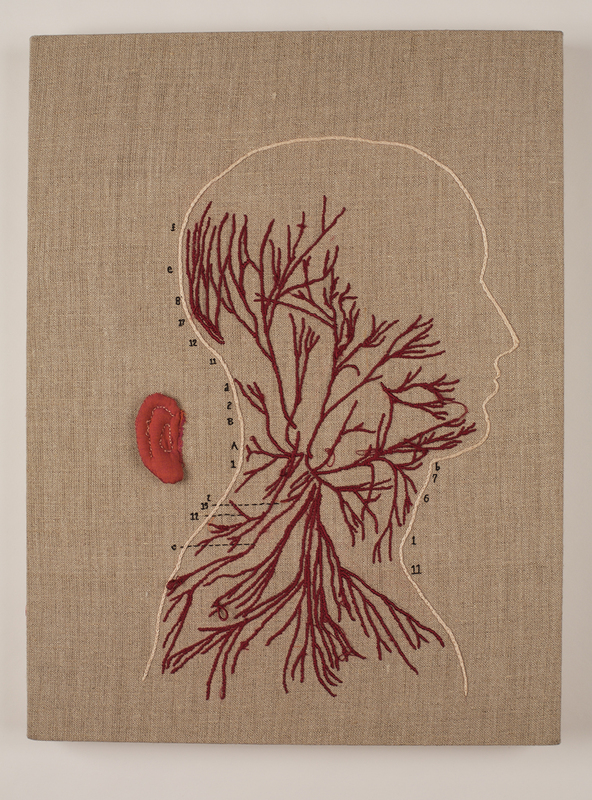 Megan Canning, All my body calls, 2008. Hand-embroidered cotton on linen. 16" h x 12" w x 3" d.
I'm thrilled to have my work included in the summer issue of the Dutch textile magazine Textiel Plus! 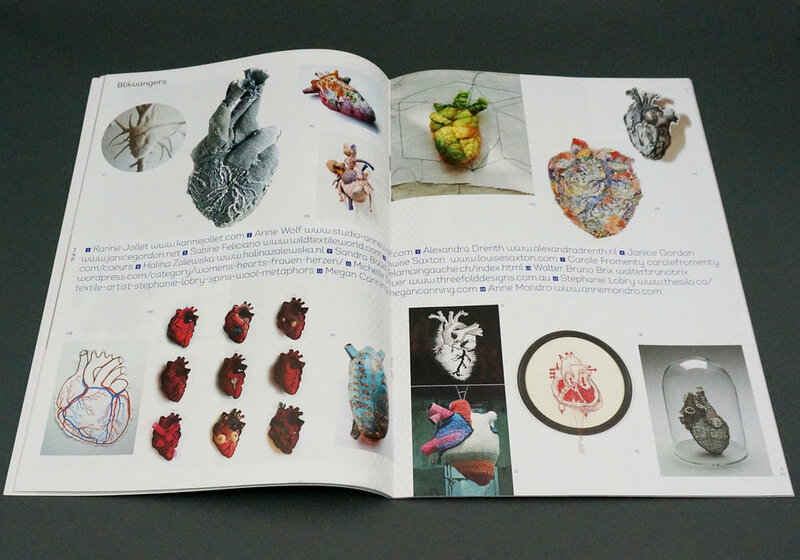 My mixed-media piece Cor, 2012, is published in a two-page spread called "Blikvangers" (eye-catchers) spotlighting artworks that depict the human heart (view a PDF). Many thanks to the editor Dorothé Swinkels for including my work in her gorgeous magazine. 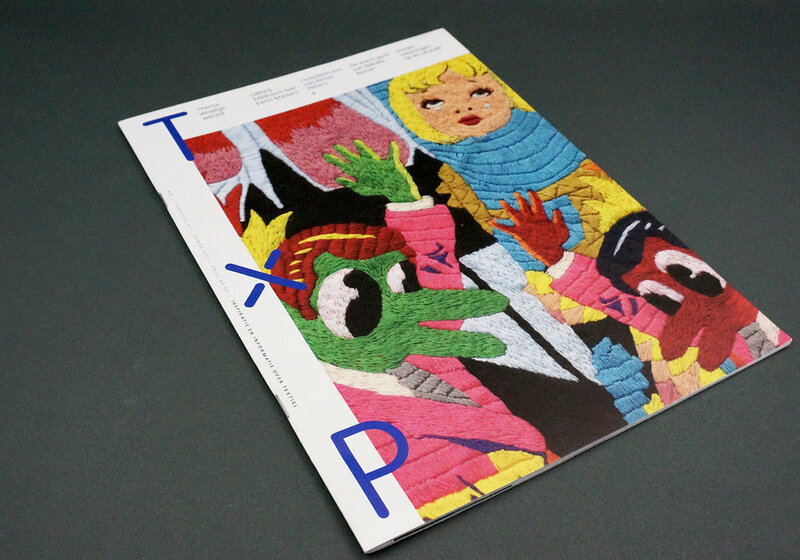 The front cover of the Summer 2017 issues of Textiel Plus magazine. The "Blikvangers" (eye-catchers) spread includes my piece Cor in the lower right section. A closer look at page 23. Megan Canning, Cor, 2012. Hand-embroidered cotton with acrylic on cotton. 14 1/4" diameter. Private collection.